Carole's Chatter: Food on Friday: Go bananas! Food on Friday: Go bananas! 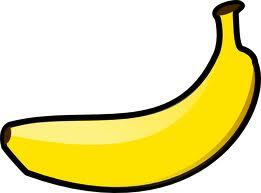 Okey dokey, this week we are collecting recipes/ideas for using bananas. Update: I have now made up a Pinboard for these links. Click here if you would like to see it. One or two things on this list were a surprise to me – like onions and pork. So just put your links into Mr Linky below. And while you are here check out other Food on Friday editions on ingredients you might be interested in. You will find them in a sidebar to the right (just under the list of Cryptic crossword clue types – which is another whole subject entirely). I love banana's and I am looking forward to this weeks round-up! Always a terrific selection. Have a great weekend, Carole. I joined in with Banana Won Ton Ravioli's this week! I thought the same thing about the onions and pork.... cumin and chicken too. Thanks for inviting me to link my mini sour cream banana breads. If it's okay, I'd like to link my most popular recipe post as well - To die For Banana Bread with Vanilla Bean Frosting, which has had almost 40,000 hits. Correction - 153,000 hits. I guess it's been a while since I checked :). Thanks for inviting me! I love that you do common themes/ingredients! Well a simple coconut/banana pancake would be ok.. Thanks for the invitation! Hope it goes well! What an interesting list of food pairings with bananas! Chilis? Fish? Pork? All seems a bit strange to me, but I'd be willing to give it a try at least once. I was surprised that peanut butter was not on the list. Peanut butter and banana sandwiches are one of my favourites! Thanks for this! I love using bananas, because they're so cheap, and new ideas are always great. I linked to my explanation of how to make banana mini-kebabs. Great party! Thank you for inviting me over! Bananas are a great way to include sweetness without including sugar and it's a great way to use them up if they've gone a bit 'over' in the fruit bowl. I've posted some baby friendly recipes with no added sugar. Remember as well if you're going to use them in cooking and they're going a bit over ripe, you can always peel, chop and freeze them until you have a chance to whip up a batch of pancakes or whatever. Thanks for coming by my blog and inviting me to bring the Peanut Butter Banana Cream Squares recipe. I did not know about your Friday party, but I will be checking back each week. One of the most famous banana recipes of all.... Elvis Presley's favorite sandwich done Italian panini style. A classic! I have lots of good banana recipes at my blog. Including Ghana Red Red. Hi Carole! I love the list of what goes well with bananas. It's a great resource to have. I wasn't surprised to see onions on the list - we grew up eating peanut butter, banana and onion sandwiches. I know, they sound horrible, but are surprisingly delicious! Have a great week!! Oh, goodness, Carol, I'm so sorry. I am bananas, apparently!! Thanks for checking and moving that for me! Thanks for inviting me to share my Sunbutter Banana Oatmeal Bars. Just FYI, you can substitute peanut butter for the Sunbutter. Thanks for the heads up :) I love bananas! Hi Carol, posted link,,,but forgot recipe first time! Sorry think I may have done it twice now!! Thanks for the invite, Carole :) I linked up a Cinnamon Banana Cake! Have a great weekend! Thanks for the invite :) I've submitted my banana and peanut butter bread! Hi! I seem to have messed up my linky entry , I think #52 is correct. Thank you for hosting your wonderful link party. Thank you for the invite! Lots of awesome banana recipes linked in the post. Thanks for the invite - I linked the banana caramel blondies. Sorry for the slow response, just got back from a trip. Oops, sorry, I just saw I put the wrong name for the recipe - is there any way to edit it? Glad you like my curry recipe :) I accidentally added it twice. Hi, thanks for the invite! I linked up 4 recipes: banana coconut chocolate chip bread, strawberry banana chia seed pudding, peanut butter and banana granola and banana coconut chia seed pudding! Thanks for inviting me! How perfect that I chose to blog a banana recipe today !! Thank you for hosting!! love all the different recipes.. it is always great to share, and learn from each other. I think I may have posted in the wrong place! Hi! Hope you are having a good week-end. I meant to say thank you for featuring my blog.